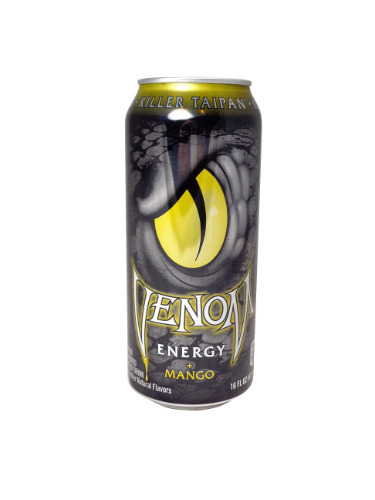 FRESH 16oz Venom Killer Taipan Mango Energy!!! When you want the energy to strike when the time is right and leave your mark, you need the venom of Killer Taipan. Venom packs a payload of strong, fierce energy of Taurine, Guarana, L-Carnitine, Ginseng and B vitamins.